Many eyes were on the U.S. Supreme Court’s newest member, Neil Gorsuch, on Monday as they looked for signs of how he will vote on a closely watched case that may determine whether unions like the California Teachers Association will continue to amass the members and the money that are the source of their power and influence. To learn more about the case and its implications for California’s teacher unions see this EdSource explainer. Gorsuch, President Donald Trump’s first nominee to the court, offered no clues. Reports on the oral arguments (see here, here and here) said that he rested his chin in his hands and took notes but didn’t open his mouth. He and his ever-silent colleague, Clarence Thomas, were the only two justices not to speak during the hour-long hearing. The issue before the court: Does it violate employees’ 1st Amendment rights to make them pay compulsory fees to public employee unions, as they must do in two dozen states, including California? Gorsuch, chosen by Trump to be a reliable conservative, is expected to break the 4-4 deadlock on the issue that followed the fatal heart attack of Justice Antonin Scalia two years ago. Then, the case was Friedrichs v. the California Teachers Association, a challenge brought on behalf of Rebecca Friedrichs and 10 California teachers, who argued that they shouldn’t be compelled to bear an equal portion of the costs to represent them on employment issues. That obligation is called “agency” or “fair-share” fees. 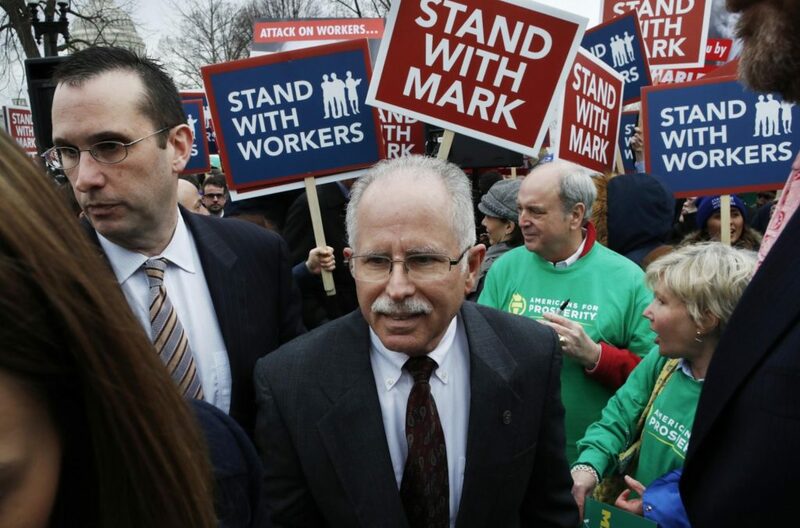 The new case, Janus v. American Federation of State County and Municipal Employees, brought by conservative legal foundations on behalf of Mark Janus, a 65-year-old child support specialist from Illinois, is a rehash of Friedrichs. Court observers are predicting that Gorsuch will join the conservative bloc to strike down mandatory fees — as Scalia had been expected to do. None of the questions and comments from the other justices indicated they were changing their minds from when they voted in March 2016, according to news reports. If the court strikes down agency fees, requiring wor+kers to opt-in to the union that, by law, must bargain on their behalf, it will reverse a 40-year Supreme Court decision, Abood v. Detroit Board of Education. That ruling said non-union employees don’t have to pay that portion of union dues that underwrites the union’s political activities, including campaigning for candidates and lobbying governments on issues not related to working conditions and pay. In California, fair-share dues make up 60 percent of a union member’s average $1,000 annual dues. But the court also said that states could require all employees to pay “agency” fees to cover costs related to negotiating working conditions and bread-and-butter pay matters, since the union represents members and non-members alike. Otherwise, the court said, there would be an incentive for “free riders” — workers who benefit without sharing the expenses needed to run a union. Defenders in states with compulsory dues said that adequately funded unions, with the exclusive right to represent workers’ views, help keep labor peace and are in states’ interest as employers. Justice Ruth Bader Ginsburg suggested it would be natural for union members to say, “I would rather keep the money in my own pocket,” potentially seriously cutting union revenues. 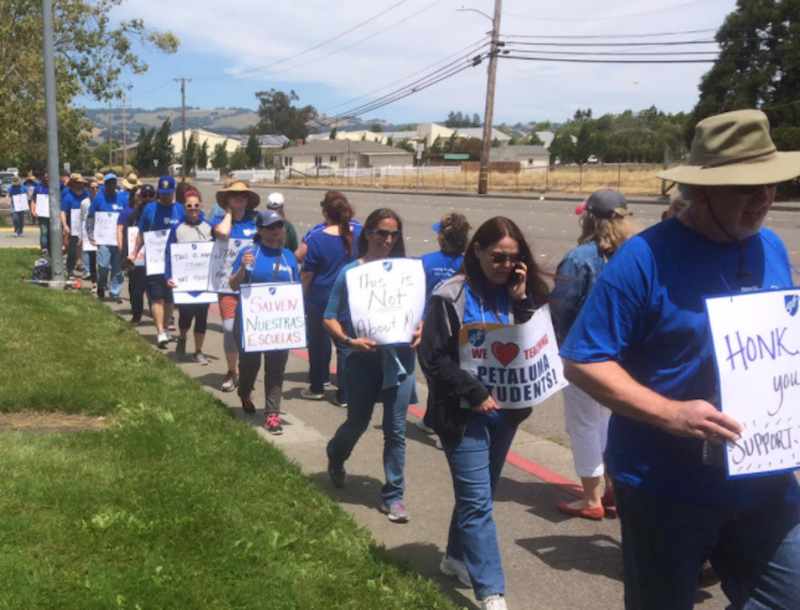 Messenger argued that workplace issues, like pay and benefits — and, in the case of teachers, tenure and layoff by seniority — are policy matters, political by nature. He said Janus and others who disagree with their unions on those issues shouldn’t be forced to underwrite them. Justice Anthony Kennedy appeared to agree, implying that agency fees were about building political power at the expense of free speech. Agency fees are “compelled subsidization of a private party, a private party that expresses political views constantly,” he said. The CTA has helped defeat three initiatives in the past 20 years that would have prevented unions from automatically collecting dues for political purposes. One of those initiatives, on the ballot in 2012, would have also banned contributions to political candidates. About 18 percent of the nation’s 14.8 million union members live in California. “You’re basically arguing, do away with unions,” Justice Sonia Sotomayor told Messenger. I used to support unions, but public employee unions make the government work less efficiently. They’ve shown no restraint in their pursuit of their interests, no willingness to compromise or do the right thing. There are people earning over $200k in pensions when the initial argument was that people needed to avoid poverty in old age. 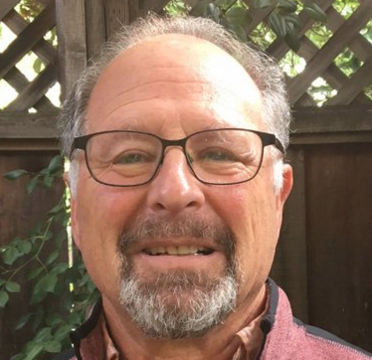 The LAUSD union fought for Mark Berndt and got him $40k. Unions consistently fight for bad teachers, fight charter schools even though many have closed the achievement gap, fight merit pay, and fight against leaving some flexibility in budgets, preferring maximizing salaries to whatever extent possible and not leaving funds for tutoring or even supplies. They have said they want due process but then fought against any termination. They have created work rules that limit or prohibit reference checks and make hiring by seniority only. They limit interview follow-ups, or even public mention of a teacher or principal who has done wrong at board meetings. In short, they used up all the good will they had. This is one lifelong Democrat rooting for this decision to be upheld. Society will be more liberal and progressive in the long run if we find a way to increase black and Latino test scores. We need to hold teachers accountable and make teaching more competitive and more like other professions. We need to cut pension costs. I’m rooting Gorsuch to do what Scalia would have done. It will make the economy more dynamic and make schools more dynamic. It will help poor kids. These are the facts, and they are undisputed.